Make super slick, colorful crafts with Roylco Super Slick Paper! This extremely glossy, versatile paper is great for any type of paper craft. For easier gluing, the back side is solid white with a matte texture. 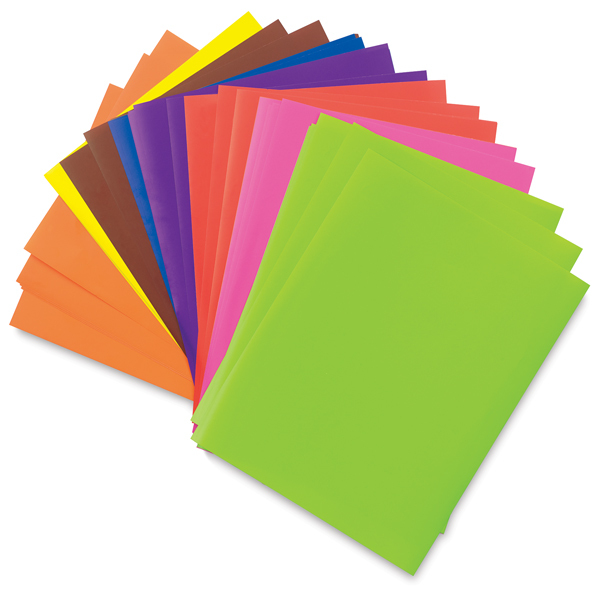 The package contains 48, 8½" × 11" sheets in eight vibrant colors.